Even the few delusional apologists who maintain that Palestinian Authority President Mahmoud Abbas is a genuine partner for peace must have been stunned by his obscene and demagogic address on Rosh Hashana at the United Nations General Assembly (click here to watch Abbas’s UN address). Significantly, he even reverted to the pre-Oslo Accords jargon of the radical rejectionists by referring to Israel as the “colonial occupying power” and other derogatory terms. He promised to “maintain the traditions of our national struggle established by the Palestinian fedayeen … in early 1965” — an unequivocal endorsement of terror. The speech was clearly a calculated appeal to the Palestinian street to demonstrate that his hatred of Israel matched that of Hamas. He was probably also desperate to refocus attention on the Palestinian issue which had been relegated to the sidelines because the world, including Arab countries, is obsessed with the threat of ISIS. President Barack Obama’s address at the General Assembly even contradicted his previous rigid stance by conceding that “Iraq, Syria and Libya should cure… the illusion that the Israeli-Palestinian conflict is the main source of problems in the region”. None of this should shock us. 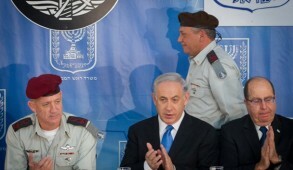 From the outset, Abbas has consistently followed the policy of his predecessor. Like Yasser Arafat with Ehud Barak at Camp David, Abbas rejected the offers of Ehud Olmert in 2008, which would have enabled the creation of a Palestinian state on 94 percent of the territories formerly occupied by Jordan. Abbas intensified the demonic hatred of Israel promoted in Palestinian schools, mosques and the media. His brainwashing bred a criminal society suffused with hatred, to the point at which proud mothers on Palestinian state television would exuberantly thank Allah for enabling their children to become martyrs by murdering the Jews while praying that their remaining offspring would follow the same path. Only last week, the PA referred to the murderers of the three Israeli teenagers as “shahids” — martyrs. Abbas has diverted vast sums of money toward massive salaries to terrorists in Israeli prisons and provided state pensions for families of suicide bombers and generous endowments for released mass murderers who are sanctified as heroes. He has honored perpetrators of the most dastardly suicide bombings and acts of terrorism by establishing city squares, football clubs and institutions in their names. The duplicitous Abbas shares precisely the same goal as Hamas — the destruction of Israel. Like Arafat, who denied the existence of the Jewish Temple, he too refutes Jewish links to Israel. But he was savvy enough to realize that he could tactically achieve far more by theoretically disavowing violence and employing diplomatic pressure to seek to undo Jewish sovereignty in stages. 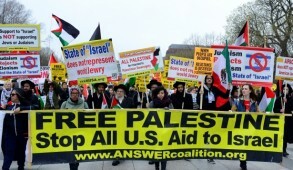 The world is willfully blind to his corruption and unperturbed by the PA’s siphoning of billions of dollars of international funds designated to improve the living conditions of Palestinians. Abbas also suspended elections for four years, aware that the majority of his constituents were likely to support Hamas because of the rampant corruption. Until now, Abbas spoke with a forked tongue, speaking softly and depicting himself as a man of peace to the West, particularly to America, while simultaneously inciting his people to vicious hatred. Alas, due to a combination of naiveté and U.S. pressure, Israel engaged in an Alice in Wonderland charade of lip service to Abbas as a “moderate” and “peace partner” instead of exposing him as a corrupt autocrat of a criminal society. One of the most notable Israeli apologists for Abbas is former President Shimon Peres who, still desperate to uphold the discredited Oslo Accords, continues to defend him as a moderate peace partner even when directly confronted with evidence to the contrary. Now that Abbas has merged the PA with Hamas, despite the fact that until recently they were still murdering his supporters, he has decided to dispense with his sugarcoated approach. With the nightmare of Hamastan extending to the 1949 armistice lines, Abbas now realizes that there is no way that Israel will cede additional territories unless it can be assured of total security — currently impossible. Thus he has effectively terminated the “peace process” and is focusing his efforts on delegitimizing Israel and garnering popularity among the Palestinians by expressing extremist views. Abbas has effectively written off the Obama administration but is aware that the vast majority of countries affiliated to the United Nations would even endorse resolutions that the world was flat if promoted by the 57 members of the Islamic bloc and their allies. Besides, under the current grotesque circumstances, many European nations will continue to debase themselves by abstaining from even the most outrageous anti-Israeli resolutions. We should be under no illusions. Abbas has brought the phony American orchestrated peace process to an end. 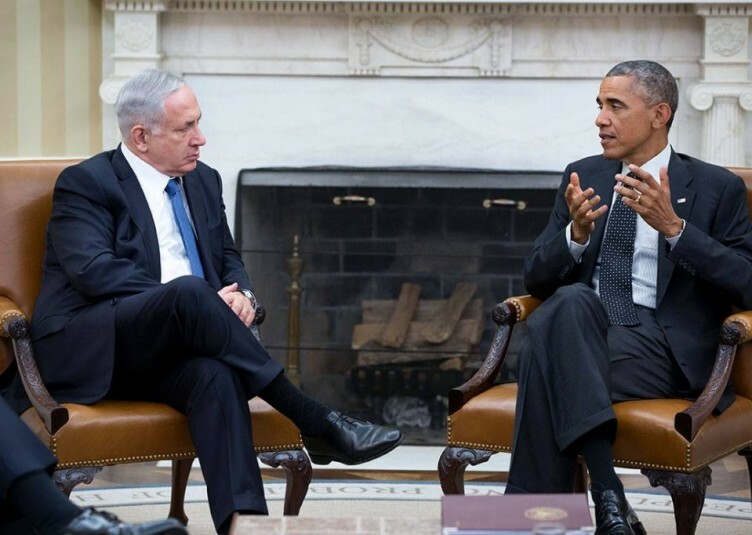 He has effectively rejected any future negotiations based on providing Israel with security. Aside from his incendiary libel, by suggesting that Israel must accept the “right of return” of Arab refugees, he is blatantly promoting eliminationism. 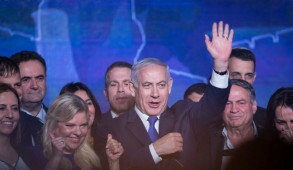 He will now seek to galvanize the majority of nations — Islamic countries, Third World countries and rogue states — to intensify efforts toward delegitimizing and demonizing Israel. This will lead to an active campaign to criminalize the IDF at the International Criminal Court, and to impose global sanctions on Israel. But that will only become a real threat if Abbas obtains the support — or even the abstention of — the United States and the major European countries. To retain our relationship with Western countries, Netanyahu must go further than exposing the criminal nature of Palestinian society, which he did so belatedly but articulately in his address at the U.N. General Assembly. Implementing a two-state solution is currently inconceivable. Even setting aside the fanatical hatred of the PA, a Palestinian state today would effectively transform the West Bank into Hamastan. Nor, in light of the repeated total ineptitude of U.N. peacekeeping forces, can Israel be expected to delegate security to international parties. But the overwhelming majority of Israelis do not wish to annex territories that will ultimately result in millions of additional Arabs having voting rights and the ability to transform Israel into a binational state. The government must therefore announce that there is no intention of annexing Palestinian territories other than the major settlement blocs — less than 5 percent of the formerly Jordanian-occupied West Bank — based on demographic changes. U.S. recognition of the settlement blocs as part of Israel would be consistent with the commitment that President George W. Bush gave to Prime Minister Ariel Sharon in 2004 to encourage the disengagement from Gaza. The Israeli government should freeze construction other than for natural growth in areas that are located outside the settlement blocs. 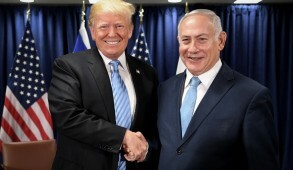 Today we need Western support on a number of critical issues: preventing the rearming of Hamas; avoiding sanctions; combating the intensified efforts to demonize and delegitimize Israel; and above all building a coalition to prevent Iran becoming a nuclear power. Even though it could generate domestic problems among far right-wing elements, the government must speak with one voice and commit itself to a separation from the Palestinians if and when there shall be a genuine peace partner. 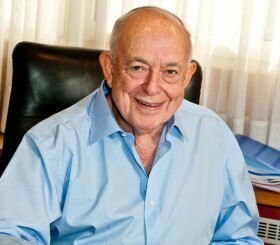 In the interim, it will seek to improve the living standards of Palestinians on the West Bank. Netanyahu must convey the unequivocal message that Israel’s objective is to live in peace with its neighbors, and it is only legitimate security concerns and a lack of a peace partner that prevent us from moving forward immediately with a separation. 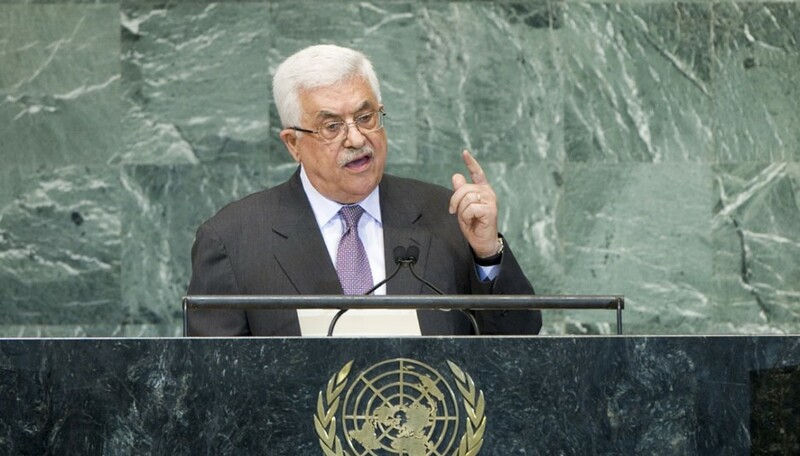 If that can be communicated to the U.S. and Western countries, the defamatory outburst by Abbas at the General Assembly could prove to have well served our cause.